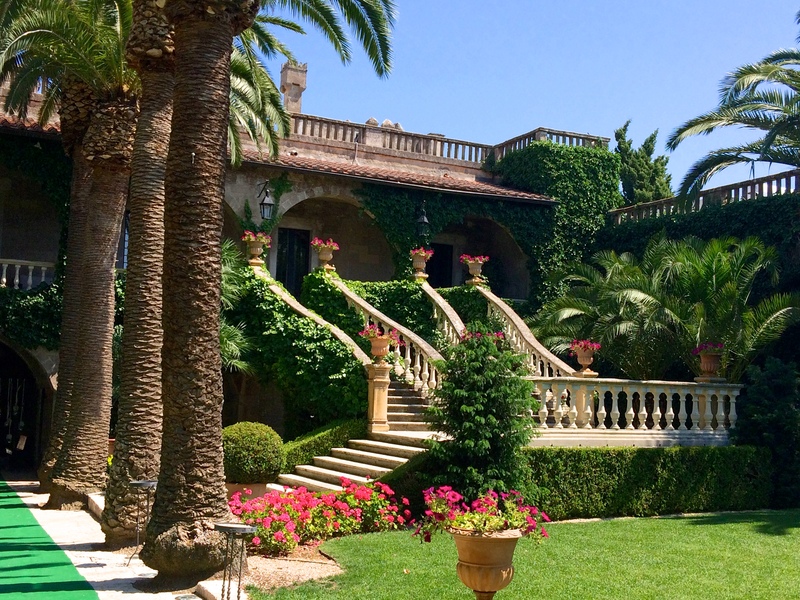 Have you ever been to a winery that is somewhere between heaven and bliss? 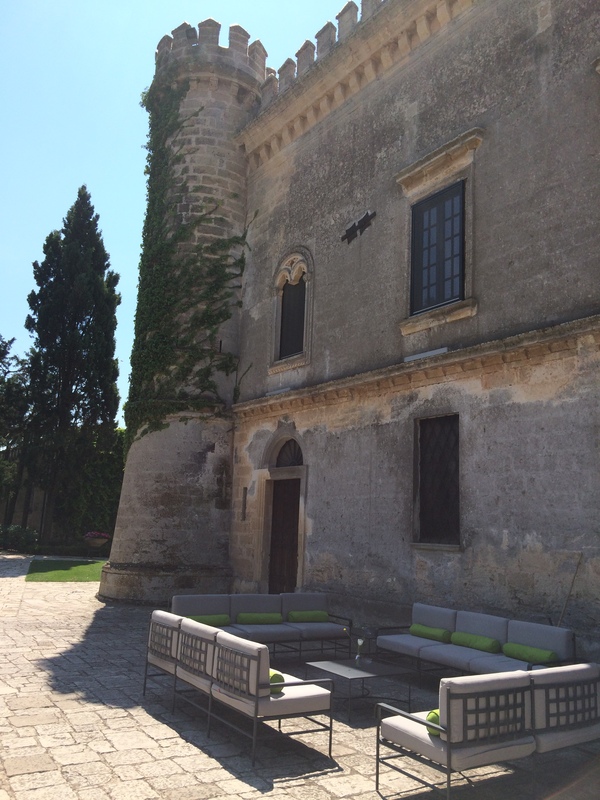 I’m not sure that spot exists, but I would say this describes the popular Castello Monaci winery in Puglia. The sun-drenched vineyards lie between the Ionian and Adriatic seas in Puglia’s Salento region. 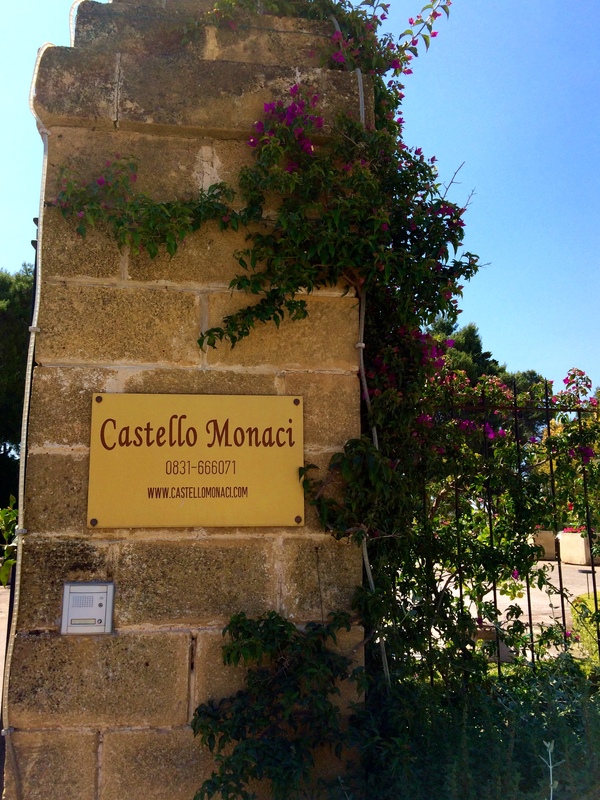 Nestled in the “heel of the boot” that is Italy, Castello Monaci is a point of reference winery that cultivates the unique characters of native grapes Negroamaro, Primitivo and Malvasia Nera di Lecce. The intense sunlight on the land is softened by the cooling effects of the ocean breezes, contributing to a special kind of wine, those infused with an ancient minerality. 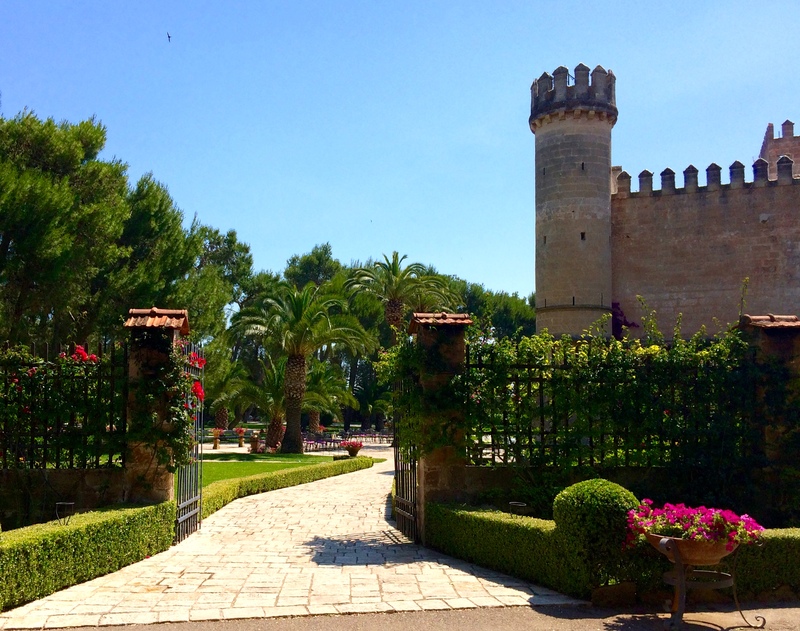 I had the opportunity to visit the Castello Monaci recently with a small group of friends. 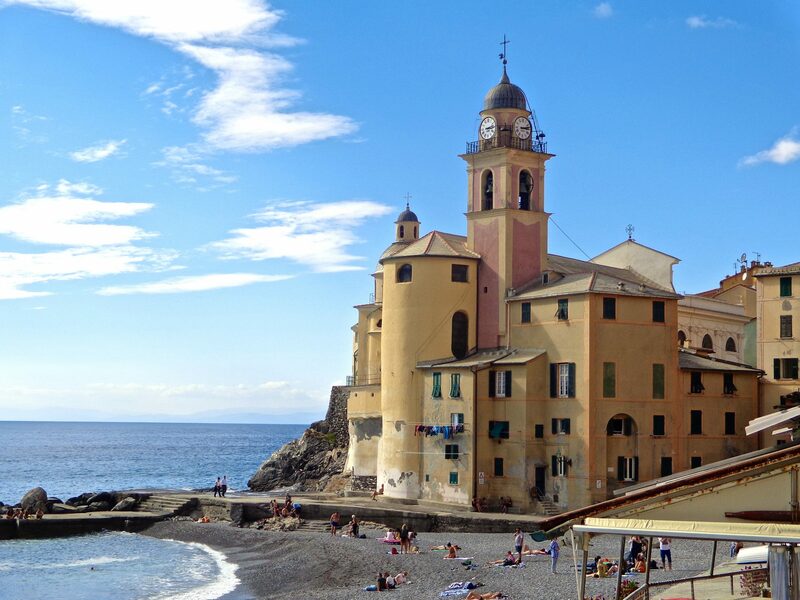 Founded by monks in 1492, it has maintained a long winemaking tradition ever since. It is a vision from a fairytale. Embellished by statues sculpted in soft, ivory colored stone, the crenelated walls encase a courtyard garden infused with loveliness. A popular place for weddings and celebrations, the large and stately interior rooms could accommodate any event with finesse. 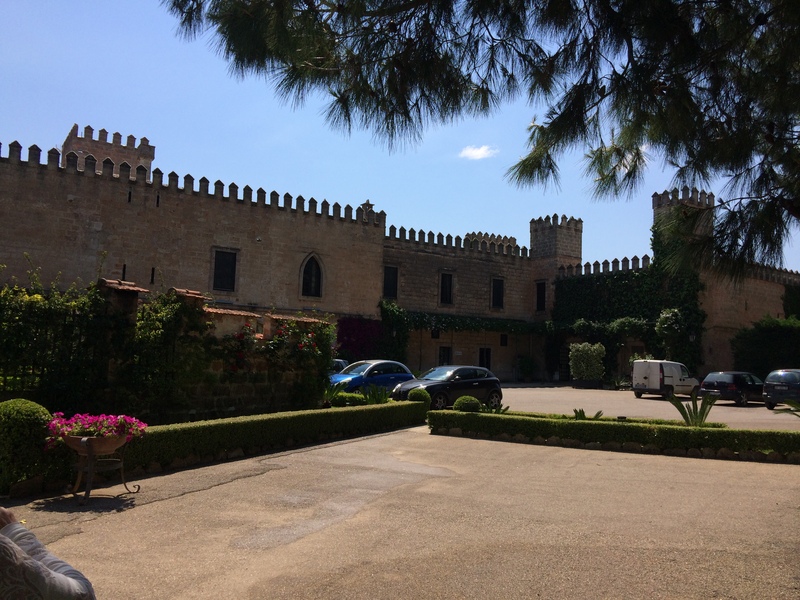 Lina Memmo, whose family has owned the estate since the 19th century, currently owns the property along with her husband Vitantonio Seracca. The winery is expansive. 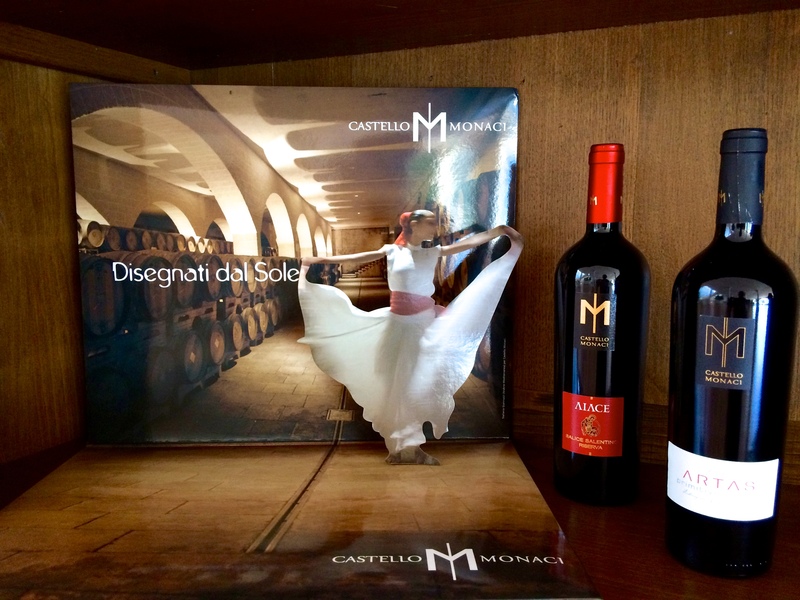 Less than 20 years ago Castello Monaci produced 20,000 bottles but today production has increased to nearly 2 million bottles due to the growth of the estate. 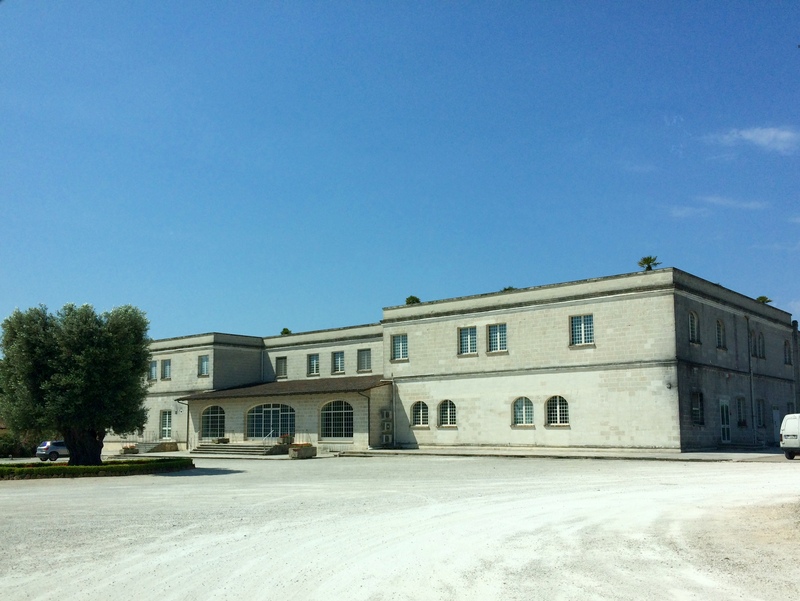 Gruppo Italiano Vino (GIV), Italy’s largest wine company, manages the estates wine-making activities. 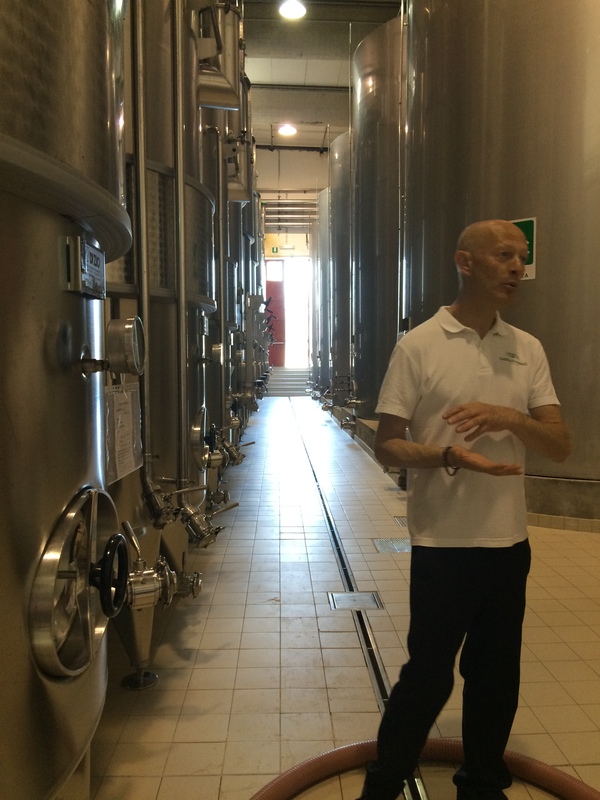 Claudio, our tour guide, took us through the wine production area, a refrigerated crushing system with temperature controlled steel tanks that allow limited quantities of grapes to be vinified separately. 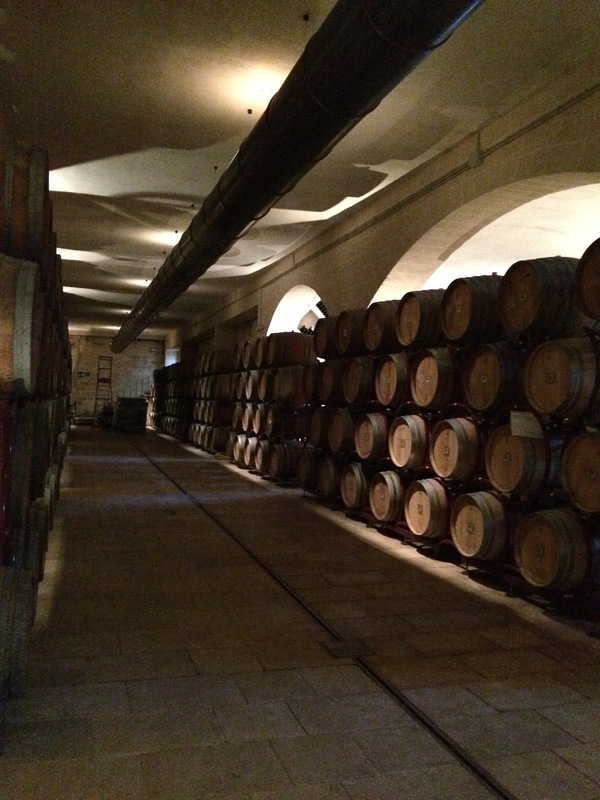 The cellar holds over 1,000 barrels of wine. The land is thick with tufa, volcanic rock that is present in the soil. Claudio explained that as it travels to the surface, its white color reflects the light and increases the benefits to the grapevines. 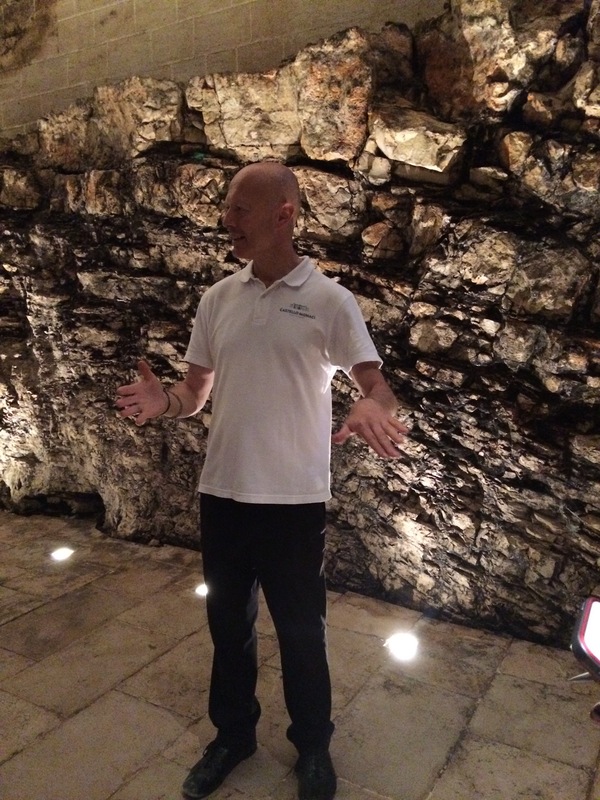 In the cellar, a wall of tufa acts as an effective source of insulation to keep the temperature cool. After the wine tour of the cellar came the product tasting. 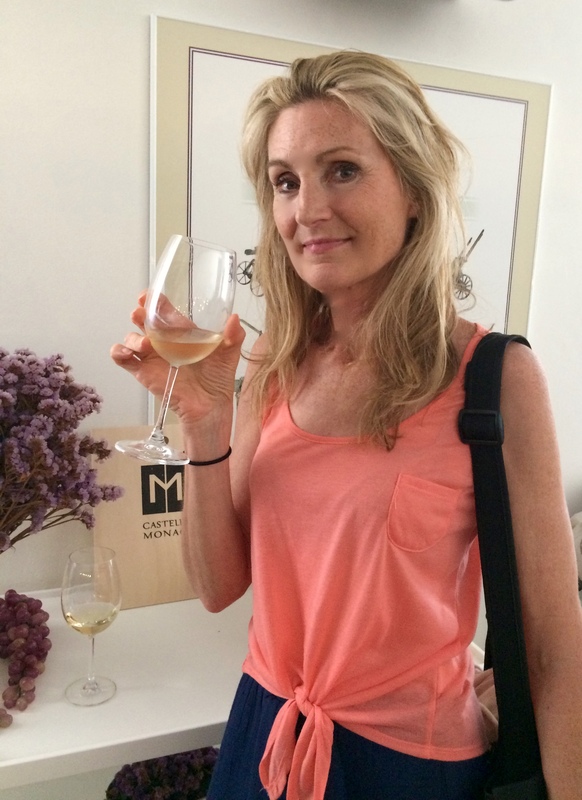 During the wine tasting, I learned that most of the Castello Monaci wines are named after mythical Greek characters – Medos, Kreos, Aiace, Acante, Artas, and Piluna – as a tribute to Apulia’s early Greek origins. The Primitivo, Negramaro and Malvasia nera di Lecce grapes are cultivated right in the vineyard on the estate. 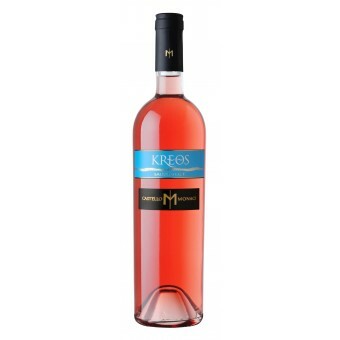 Kreos, a delicate rosato of 90% Negroamaro and 10% Malvasia nera di Lecce, was one of my favorites. Its name comes from Eos, goddess of the sun whom Homer called goddess with the rosy finger. It is a perfect warm weather wine which is fermented in special steel vats with a short contact between the skins and juice. Bright pink in intensity, it brings to mind sea corals of the Mediterranean. Another excellent wine is the Piluna Primitivo. Piluna means “tufa pot” in Greek and is produced by a well-known grape around the world, the Zinfandel. Some of the wine matures in French barrels for 6 months while the rest remains in steel. The color is dark crimson with a robust yet velvety feel to the mouth. It carries an essence of ripe red fruits with hints of vanilla and pepper. Liante “Wind of the Levant” Salice Salentino is named after the “icy wind of winter and the hot wind of summer which blows strongly over Puglia.” This deep, ruby-red wine is obtained from Negroamaro and Malvasia nera di Lecce grapes. They are separately vinified because of their different times of ripening. Hints of wild cherry, chocolate and vanilla combine with a warm and balanced flavor. 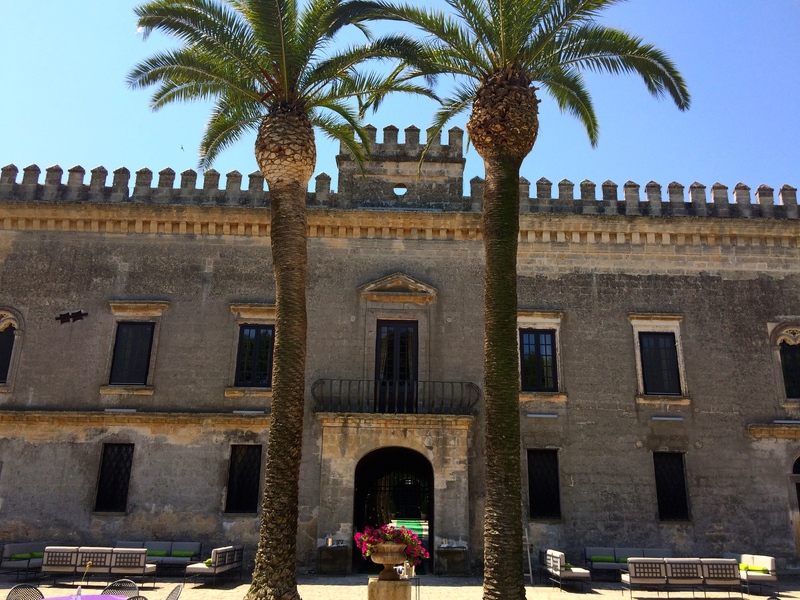 The following photos are of the Castello Monaci, ending with the lovely palm-lined courtyard. 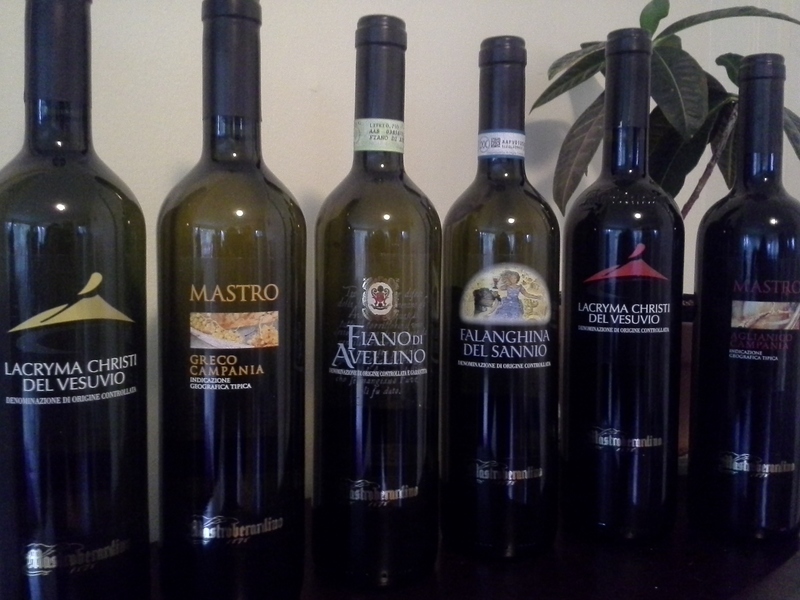 Do you have a favorite Italian wine or winery? I would love to hear from you so don’t hesitate to share your thoughts. 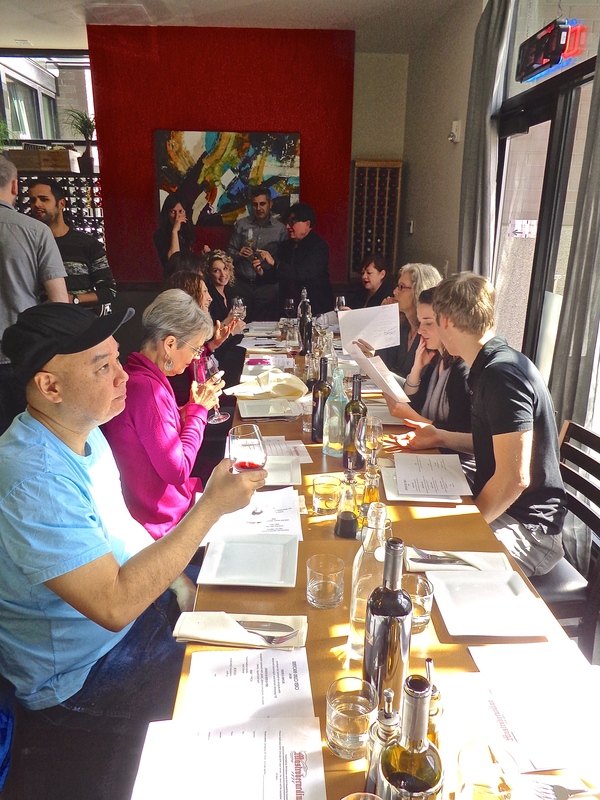 Bright sunlight breaks through the gray clouds as I enter Trattoria Gallo Nero in downtown Portland, Oregon. 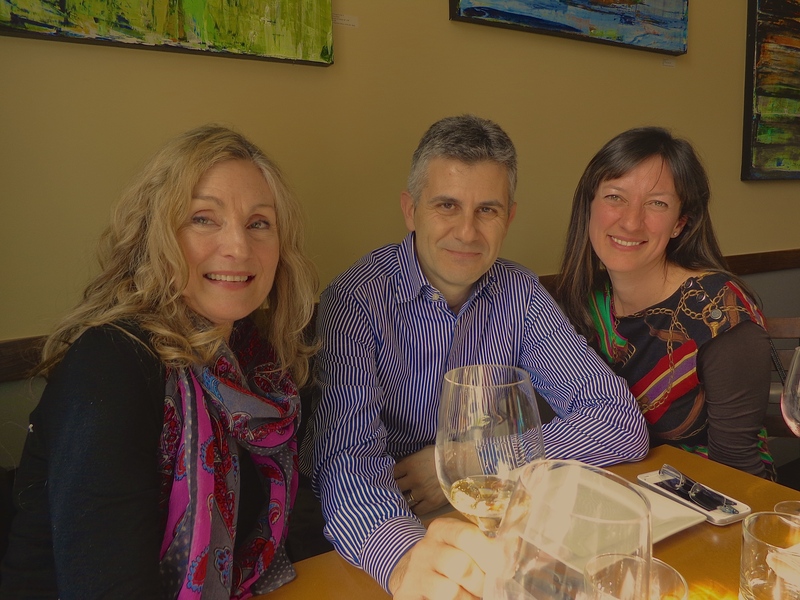 Greeted by warm smiles from my Italian meet up group in the small dining room, I catch a glimpse of Piero Mastroberardino, President of the Mastroberardino Winery in Campania. 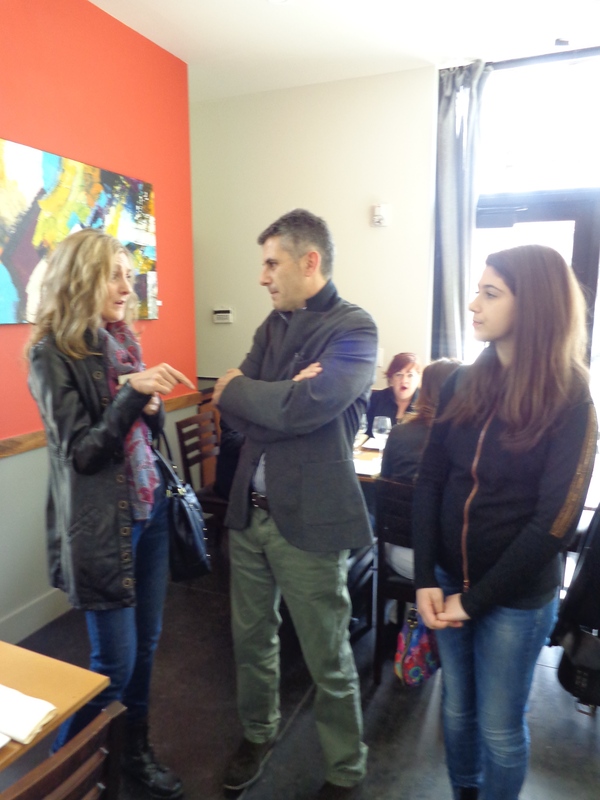 His lovely teenage daughter stands beside him as he converses with the guests. Sharply dressed in a stylish gray coat, his manner is authentic. “I have visited your beautifully artistic cellars in Atripalda just this last September,” I inform him. He smiles and humbly accepts my praise. He is gentle and approachable. 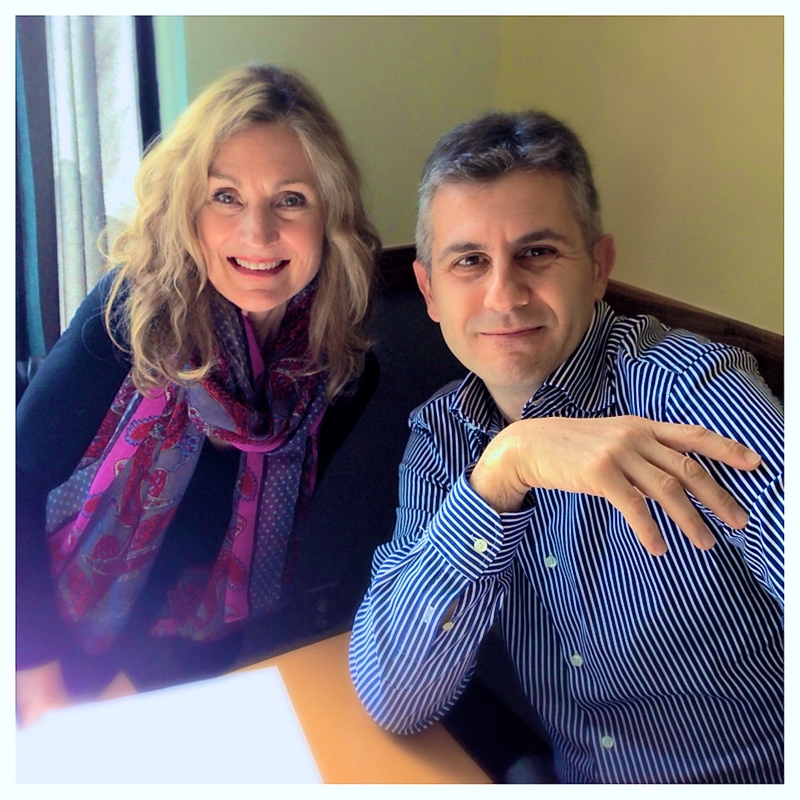 Piero is here in the U.S. on a 10 day tour. After his arrival, he attended a memorial service for his father Antonio in New York. A legendary patriarch of the Mastroberardino family, Antonio refused to give in to the pressure and cultivate non-native vines. Instead, he fought staunchly to preserve the original varietals introduced by the ancient Greeks and Romans. 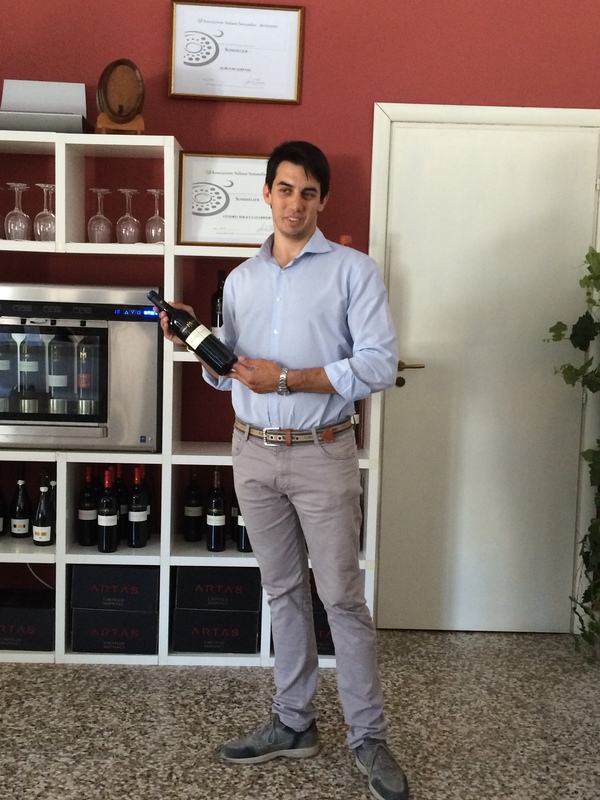 All of the wine is made at the cellars in Atripalda, Campania. 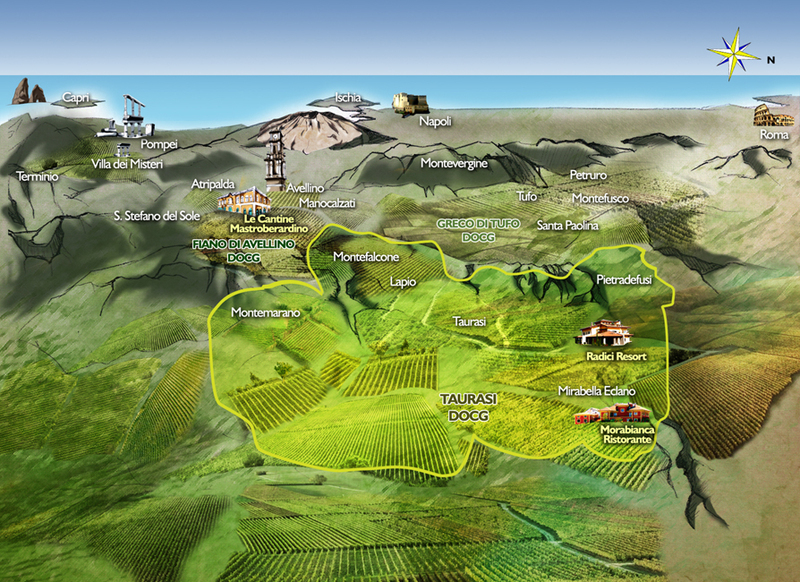 Mastroberardino cultivates their vines on approximately 500 acres of mountainside terroir steeped with ash. The elevation can run high as Piero mentions some of the vineyards are not far from snow. 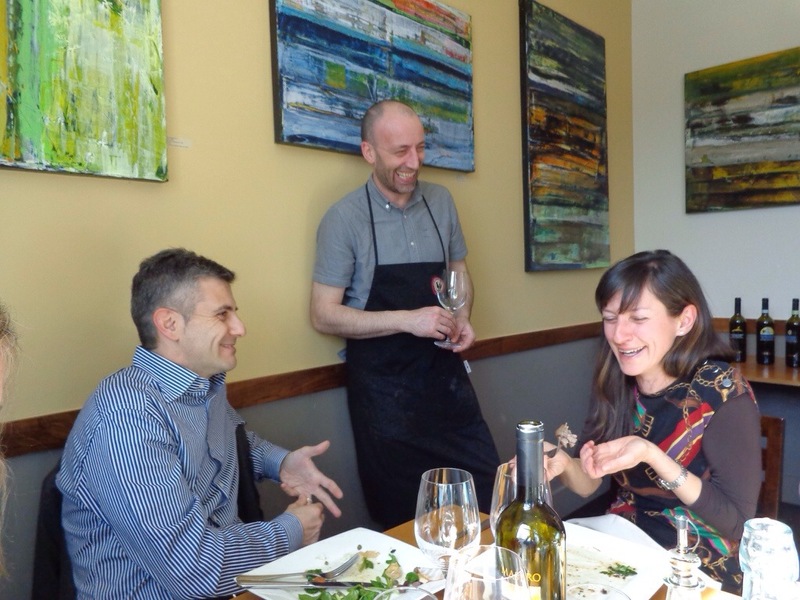 Davide (center) is a Florentine who is the chef for Trattoria Gallo Nero. His specialty is tasty Tuscan cuisine. Manuela, seated on the right, grew up just outside of Milan and leads the Italian meet up group. They are both very personable and fun to be with. 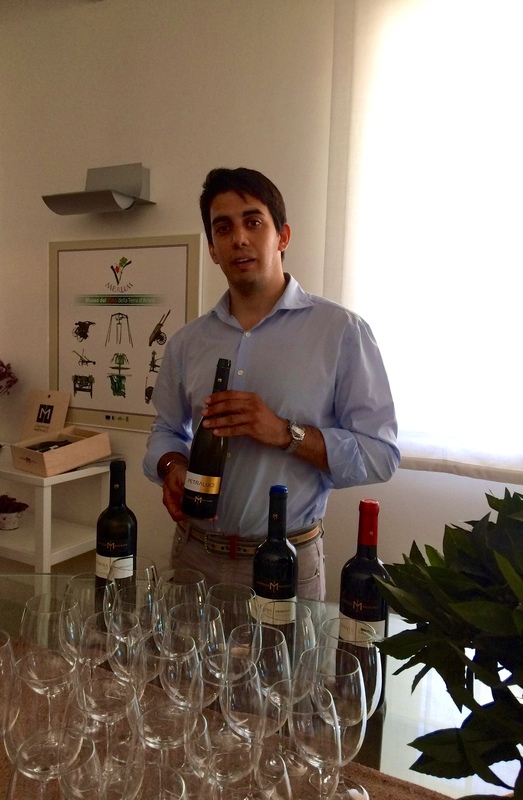 Piero is also a business professor of economics at Foggia University during the winter while the winery slows down. Four whites and two reds are present for tasting. 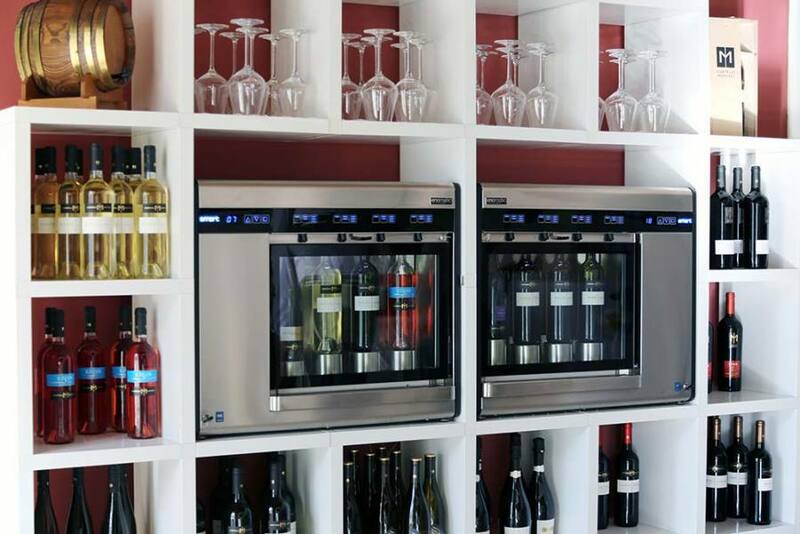 Every one of them embodies an excellent taste and feel on the palate, with a warm and earthy essence. Lacryma Christi Del Vesuvio, Tears of Christ, is made in both a red and white. Pleasantly surprised, I found each one to be appealing to my taste. 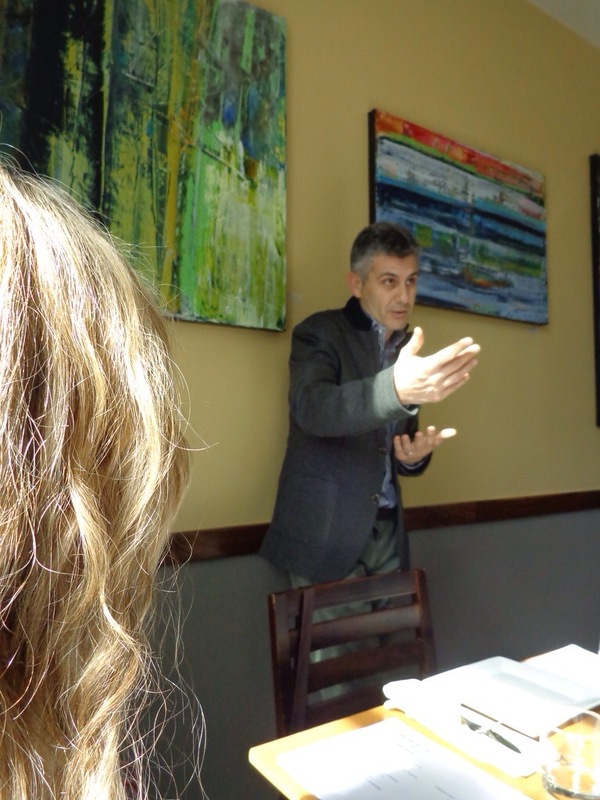 Following are a few photos taken during our lunch with Piero. It lasted most of the afternoon and ended with many well wishes and good cheer. 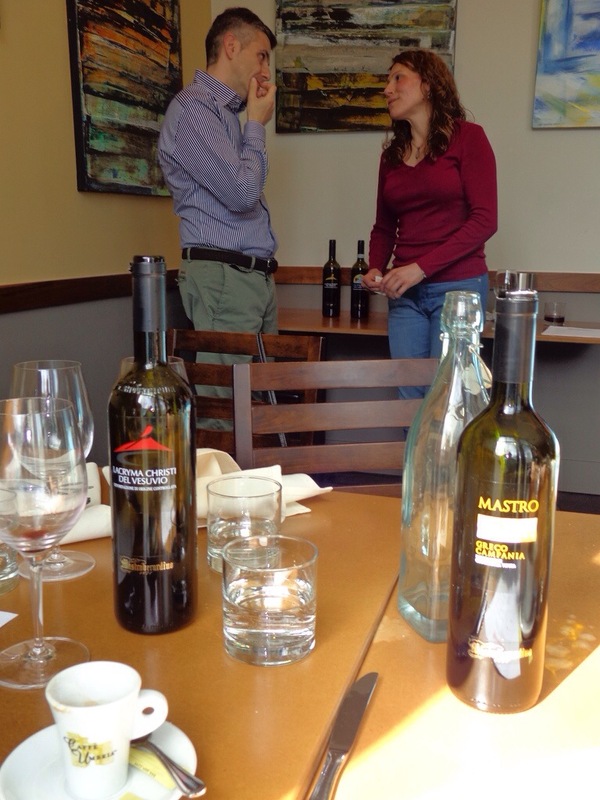 We were honored to be in the presence of Piero Mastroberardino, a man who represents his fabulous wine estate with ease and finesse. He left a lasting impression of quality, distinction, integrity and a family pride that can only impress and leave one feeling richer for being there. 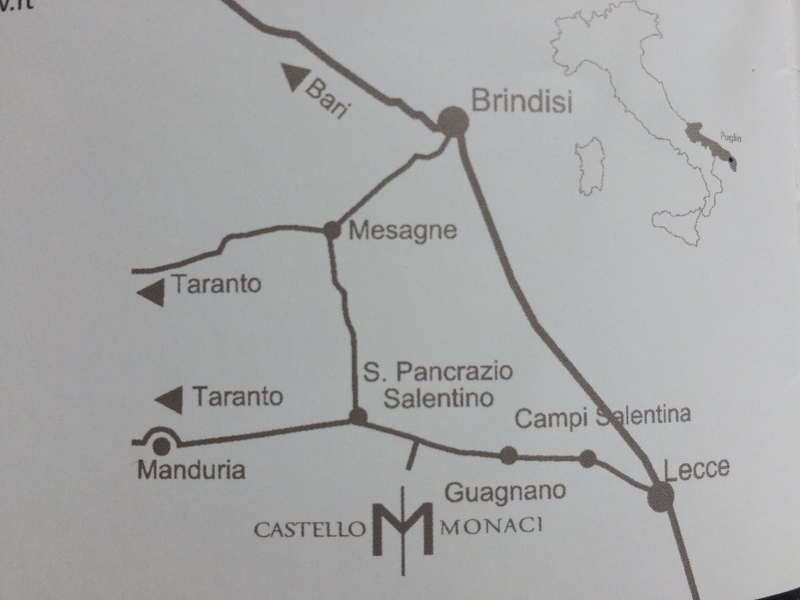 Below is a map of the Campania region in Italy and the Mastroberardino cellars/vineyards ~taken from the Mastroberardino website.